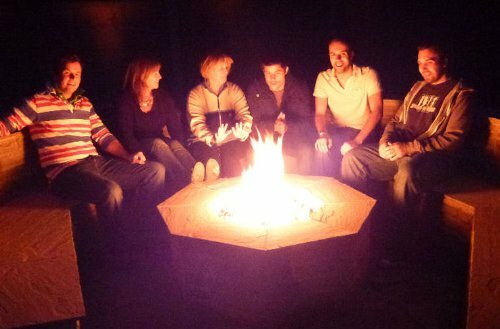 We are proud to offer the famous Brightstar, Gas Fire Pit Burner, Octagonal, 18kw, Mains Gas. With so many on offer right now, it is wise to have a brand you can trust. The Brightstar, Gas Fire Pit Burner, Octagonal, 18kw, Mains Gas is certainly that and will be a superb buy. For this reduced price, the Brightstar, Gas Fire Pit Burner, Octagonal, 18kw, Mains Gas is highly recommended and is always a popular choice amongst most people. Firepits UK Ltd have included some nice touches and this equals great value for money. Introducing a new concept in outdoor living. 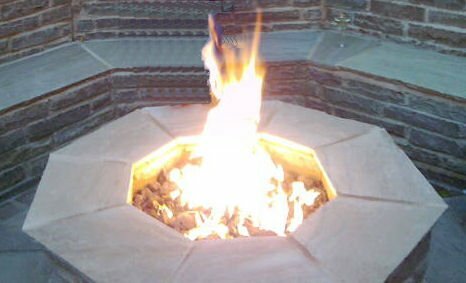 Gas Fire Pit Burners provide instant clean heat, run off Mains natural gas, and is a great focal point for any outdoor gathering. The BrightStar Burner produces flames in a star pattern, that concentrate the flames towards the centre, thus producing a very bright and natural looking fire. The unit incorporates a push button piezo ignition system, (batteries or mains power not needed) and a flame failure device that cuts the gas supply if the flames are extinguished for any reason. The variable gas valve is operated by a solid stainless steel lever, to adjust the flames and heat output as required. Manufactured from heavy gauge stainless steel, it is designed to be built into any non combustible stone structure and can be left outside permanently. It comes complete with lava rock to cover the burner.